We’re delighted to have the support of our headline partners Craft & Crumb and GoodtoKnow. Now in its second year, Great Rainbow Bake is bigger and messier than ever and we can’t wait! 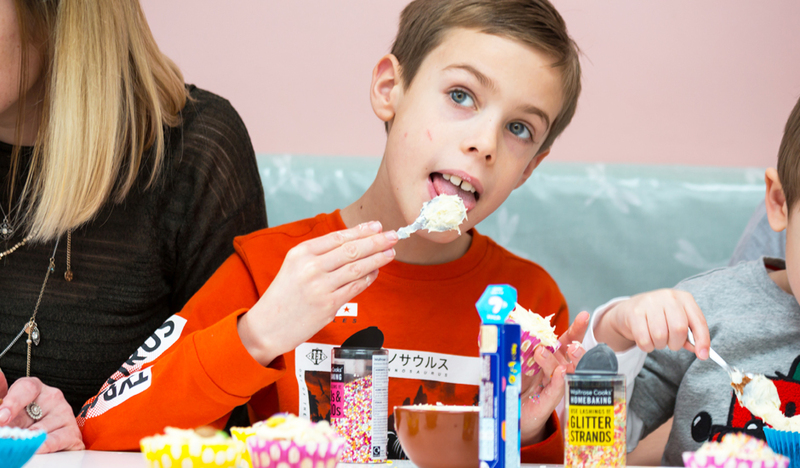 Every Great Rainbow Bake can transform the lives of families with a seriously ill child, so whether you’re baking from scratch or buying a ready made kit from Craft & Crumb, you’re helping to make sure we can be there for seriously ill children and their families when it matters most. Craft & Crumb is an award-winning company selling beautifully designed baking kits containing everything you need to bake homemade cakes, biscuits, cupcakes and other yummy goodies! Their kits come with the right quantities of everything you need to bake and decorate your cake, apart from a few basic fresh ingredients like butter and eggs. They even include disposable cake tins to save on washing up. Craft & Crumb is supporting Rainbow Trust by donating £2.50 from every Rainbow Cupcake kit and £5 from every Unicorn Rainbow Cake kit to help support families with a seriously ill child. Goodtoknow, the UK's #1 lifestyle site, is the ultimate online destination for busy, mainstream women ages 18 to 45. Part of TI Media, Goodtoknow is the place to go for amazing recipes as well as family and health advice.